The United Kingdom is the place with enormous diversity, which makes United Kingdom the best place to visit. London is not only the largest city of United Kingdom but also the capital of the United Kingdom. When talking about best cities to visit in UK how can we forget about Manchester, the city name that is the synonym of world’s best and most famous football clubs called Manchester United. Apart from the places to visit in UK, there are certain things that can be done in UK. The United Kingdom is also a bliss for sports, archaic monuments and hub for brands. The United Kingdom is the world’s first industrialized country with still progressing towards substantial improvements in culture, economy, politics and science. 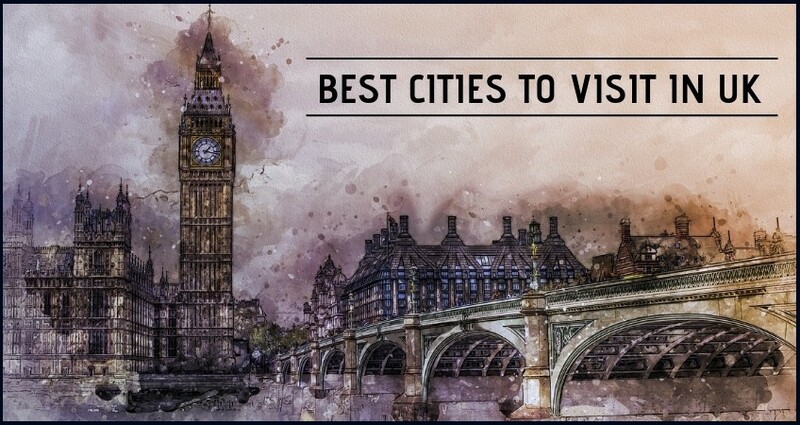 Best cities to visit in UK listed in the infographic are surely worth at least one visit. United Kingdom has always been in lime light for its music and royal families. Also, UK is famous for educational institutes, London eye, pubs and night life. United Kingdom is home to number of pop music celebs and other celebrities. United Kingdom has also given world the best poet and writer like William Shakespeare. If you are looking for coach hire in Essex, South East Coaches is here to serve you. Our vehicles provide utmost comfort and safety. If you want to know more about benefits of hiring coach from us get in touch with us today. And request a free quotes.